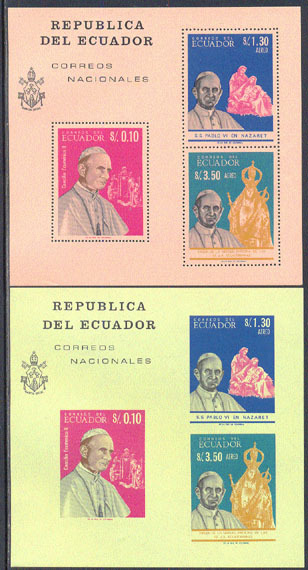 5009 VAR ECUADOR (1966) Pope Paul VI*. Imperforate S/S on green paper and perforated S/S on rose paper. Scott No 752bc.